The authors consider the two matrix model with an even quartic potential and an even polynomial potential. The main result is the formulation of a vector equilibrium problem for the limiting mean density for the eigenvalues of one of the matrices. Every important principle has been illustrated by copious examples, a considerable number of which have been fully worked out. As my main object has been to produce a textbook suitable for beginners, many important theorems have been omitted. Topics: Matrices, Moments and Quadrature; Structured Approaches to General Inverse Eigenvalue Problems; Eigenvalue Problems; Nonnegative Inverse Elementary Divisors Problem; Some Recent Advances in Nonlinear Inverse Scattering in 2D; and more. This book is a text for a graduate course that focuses on applications of linear algebra and on the algorithms used to solve the problems that arise in those applications. Tthe particular nature of the applications will prompt us to seek algorithms. On the theoretical side, we deal with vector spaces, linear maps, and bilinear forms. On the practical side, the subject is really about one thing: matrices. This module is a mixture of abstract theory and concrete calculations with matrices. This book contains selected topics in linear algebra, which represent the recent contributions in the field. It includes a range of theorems and applications in different branches of linear algebra, such as linear systems, matrices, operators, etc. This book discusses numerical methods for computing eigenvalues and eigenvectors of large sparse matrices. It provides an in-depth view of the numerical methods for solving matrix eigenvalue problems that arise in various engineering applications. This book is a continuation of the book n-linear algebra of type I. Most of the properties that could not be derived or defined for n-linear algebra of type I is made possible in this new structure which is introduced in this book. n-Linear Algebra of type I introduced in this book finds applications in Markov chains and Leontief economic models. Scientists and engineers can adopt this concept in fuzzy finite element analysis of mechanical structures with uncertain parameters. Special Set Linear Algebras introduced by the authors in this free book is an extension of Set Linear Algebras, which are the most generalized form of linear algebras. These structures can be applied to multi-expert models. These notes are about linear operators on Hilbert Spaces. The text is an attempt to provide a way to understand the ideas without the students already having the mathematical maturity that a good undergraduate analysis course could provide. The book is a collection of solved problems in linear algebra, this fourth volume covers quadratic equations in two or three variables. All examples are solved, and the solutions usually consist of step-by-step instructions. The book is a collection of solved problems in linear equations, matrices and determinants. All examples are solved, and the solutions consist of step-by-step instructions, and are designed to assist students in methodically solving problems. This book is written as a text for a second semester of linear algebra at the senior or first-year-graduate level. It is assumed that you already have successfully completed a first course in linear algebra and a first course in abstract algebra. An introduction to the coordinate-free approach in basic finite-dimensional linear algebra. 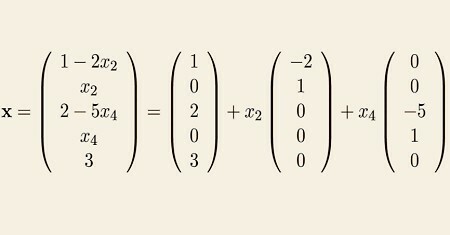 The reader should be already exposed to the elementary vector and matrix calculations. The author makes extensive use of the exterior product of vectors. From the tabble of contents: Basic Concepts and Notation; Matrix Multiplication; Operations and Properties; Matrix Calculus (Gradients and Hessians of Quadratic and Linear Functions, Least Squares, Eigenvalues as Optimization, etc. ).